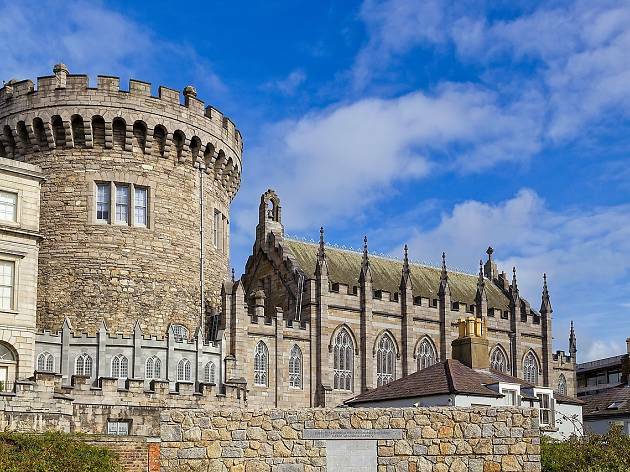 A European capital with just over half a million residents and 300 square kilometres, Dublin is legendarily compact. No matter where you stay, you’ll be within spitting distance of amazing restaurants, bars and museums. Local hospitality and an easily navigable public transit system only reinforce the feeling that you can experience it all. 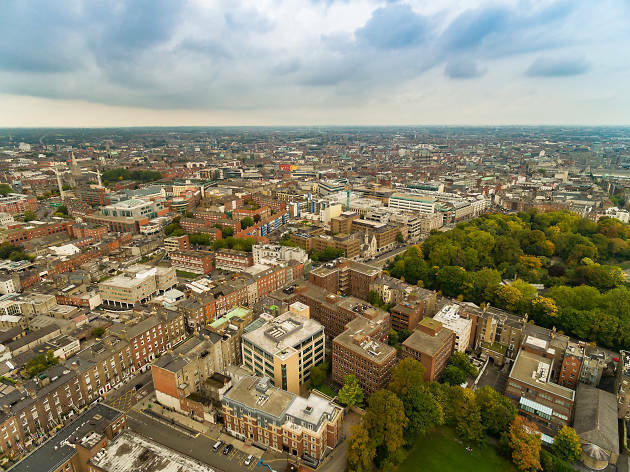 Dublin is often described as a collection of villages, which seems fitting as it incorporates more and more so-called suburbs as it expands. These distinct neighbourhoods range from high-end to hipster; so whether you’re hoping to soak up the buzzing nightlife, hit the most famous attractions, or sample the culinary specialties, there’s a place for you. In most cases, you won’t even have to choose. The laidback airs of Portobello and Smithfield don’t discount Michelin stars and the chic Merrion Square still has its share of dives. Temple Bar may get rowdy, but it’s also home to some of the city’s most iconic arthouses. The Docklands strikes that much sought-after balance between tech hub and nature retreat. Spend some time in each of our favourites and you’ll understand why the city is busting at the seams. 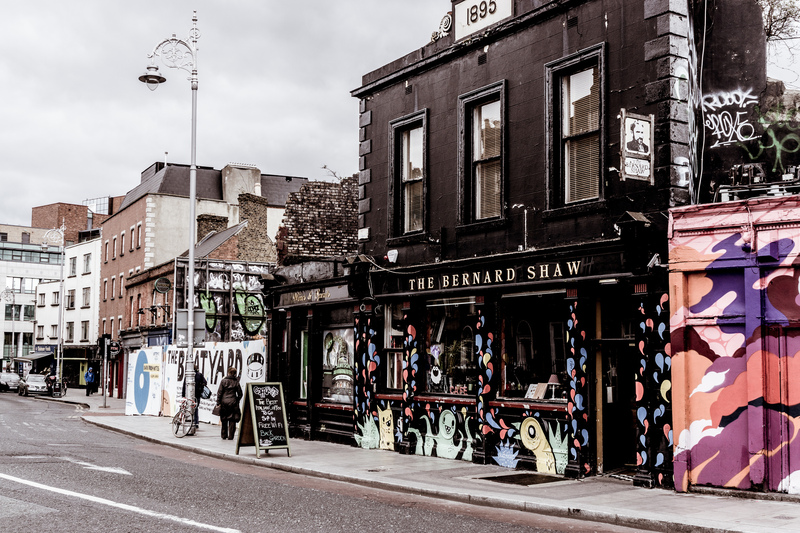 Known as “Little Jerusalem” because of the Eastern European Jews that sought refuge here during the late nineteenth century, Portobello is also where George Bernard Shaw was born and James Joyce got drunk. Over the last decade, it’s become the southern city-suburb where hip Dubliners across the city meet for a good time. With some of Dublin’s most innovative restaurants and a host of contemporary galleries and bric-a-brac boutiques, it’s foodie and creative paradise. Residents love that it’s just beside Camden Quarter nightlife and only 15 minutes from centre by foot. Tree-lined walking and cycling paths along the Grand Canal only add to the allure. 25-seat Clanbrassil House on Portobello’s western edge mirrors Dublin’s small but mighty ethos. Wunderkind chef Gráinne O’Keefe serves charcoal-grilled specialties from her open kitchen. Convince your tablemates to order the €40-per-person family-style menu and sample a bit of everything. For more exceptional food without an intimidating price tag, head to Richmond or Delahunt. Both tout the Bib Gourmand distinction from Michelin. Richmond is more rustic while Delahunt is all about updating Irish classics. 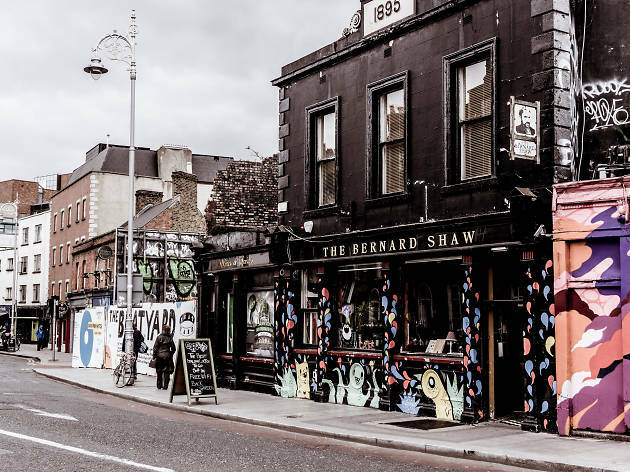 One of the best bars in all of Dublin, The Bernard Shaw is a must-visit. Storefront street art signals that it’s no ordinary pub, but head to the street food- and quirky décor-laden backyard beer garden to fully understand the magic. After all, it wouldn’t be a proper Portobello night out without pizza from the Big Blue Bus. Since this trendy and surprisingly sprawling watering hole is run by a record label, live music is often on offer as well. Leave yourself plenty of time to wander the area’s indie shops. From kitschy kitchen gear to hand-dyed clothing, you never know what treasures you may find. Christy Bird’s secondhand shop is the perfect place to start. It’s almost impossible to leave without a wonderfully whacky souvenir. No-frills Portobello Hotel is the easy answer, offering a cosy dose of canalside casual. For trendier Portobello visitors, it has to be The Dean. Located in the adjacent Camden Quarter, this ultra-cool 4-star hotel has fifty-two impeccably designed rooms across six different categories. Views and drinks at the rooftop bar is where this spot really shines, though. Don’t distress if neither option strikes your fancy. Plenty of guests opt for b and b’s, both Air and regular. Roll out of bed and grab some grub at an effortlessly cool café. As with most hipster ‘hoods around the world, brunch is a way of life in Portobello. The minimalist Meet Me in the Morning is a great choice, but Brother Hubbard South, Bibi’s, and Wall & Keogh are all safe bets too. There’s a reason this mythic district graces every Irish guidebook. Nestled between Grafton Street and Trinity College along the Liffey’s southern coast, it’s one of the most central spots you can settle. Though world-class craic and after-dark debauchery play starring roles, it isn’t all pubs and clubs. From art exhibits and film centres to pop-up markets and craft shops, daytime attractions are equally intoxicating. Culture vultures and fine diners are just as welcome as party chasers and backpackers. 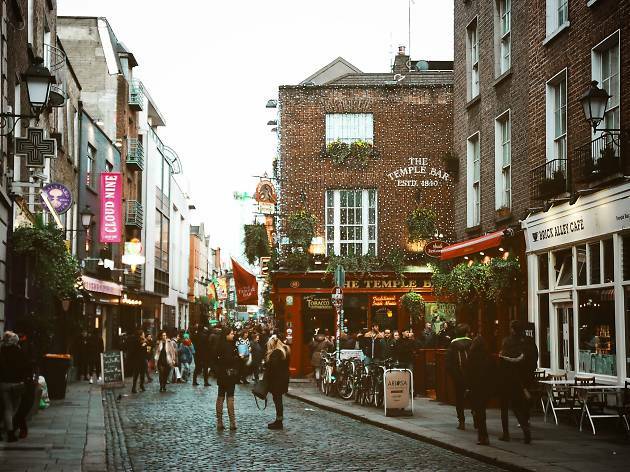 Nearly every Dublin visitor makes an appearance at one time or another, making it a great area for people-watching and celebrity-spotting too. Get transported to Indonesia with a meal at the luxuriously bohemian Chameleon. Despite its name, this spot is a real standout. One steamed bun will explain how it’s survived Temple Bar turnover for more than a quarter century. Go for the set menu Rijst-Tafel to experience a variety of bold flavours and exotic aromas. Rosa Madre is a great back-up if you prefer Italian and FX Buxley’s seasonal Irish produce comes in at a hotly contested third place. 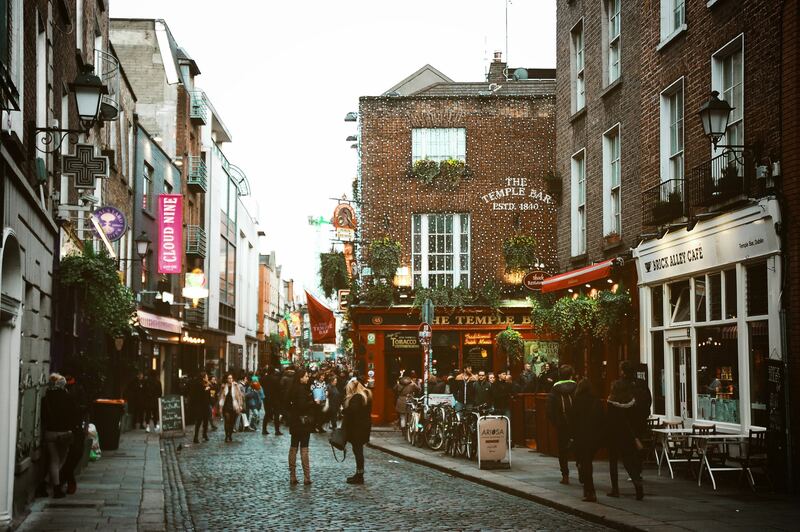 The centre of Dublin nightlife, you’re spoilt for choice in Temple Bar. It would be near sacrilege to visit without trying a pint of Ireland’s most famous export: Guinness. Palace Bar on Fleet Street has that quintessential pub feel, with natives indulging alongside tourists. When you’re ready for more hops, Porterhouse micro-brewery on Parliament Street is waiting. For something highbrow, look for three small stickers (“VCC”) on a nondescript black door down Crown Alley. This marks the entrance to Vintage Cocktail Club, a candle-lit speakeasy with an intimidatingly extensive menu. Expand your creative horizons by attending a screening at the Irish Film Institute or an exhibit at Temple Bar Gallery + Studios. If stills are more your thing, whittle the day away at the National Photographic Archive. It’s also worth seeing what’s on at the Project Arts Centre. The team behind Merchant House managed to retain homey, eighteenth century touches in its 2005 restoration. The Morgan falls decidedly on the other end of the spectrum. It doesn’t have old-world charm, but it does have designer interiors and a riad-like roof garden. With either one, you’ll be in the heart of the action. Brave the crowds for dessert at the Queen of Tarts on bustling Cow’s Lane. There are loads of sweet treats to choose from at this quaint cafe, but the Bailey’s cheesecake trumps them all. Pun intended. 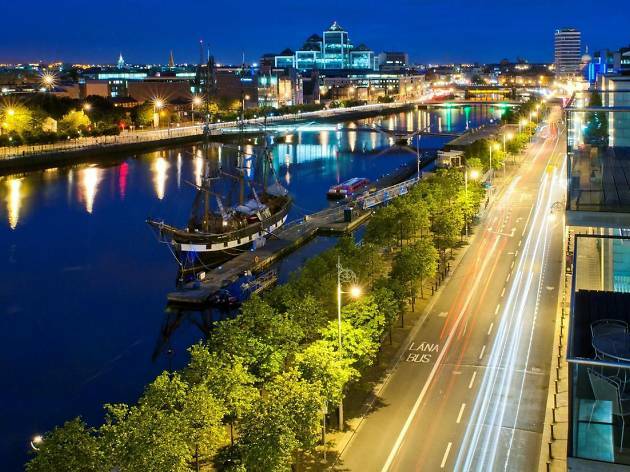 Just east of the revolutionary monuments and high street shops of O’Connell Street, The Docklands are where the Royal and Grand Canals meet the River Liffey on their joint journey to the Irish Sea. Vikings developed the area as a commercial hub hundreds of years ago. Facebook engineers, PwC accountants, and Citigroup bankers have since invaded. Now, The Docklands are synonymous with modern architecture, entertainment venues, and haute restaurants. See the city from a unique perspective by getting on the river in a kayak or stand up paddle board. Tourists are just getting clued in to the area, so it’s the perfect place for people that prefer something just off the beaten path. Herbstreet makes conscious strides to lower their carbon footprint without sacrificing taste. From the blissful brunch pancakes with honey butter to roast cod and veg dinner, you can trust the ingredients are sustainably foraged. Stunning views over the city are just a bonus. When US President John F. Kennedy visited to Dublin, he wet his whistle at John Mulligan’s. Established in 1782 and in its current location since 1854, it’s safe to say this boozer has been put to the test. For something more modern, head to Brew Dock. Double decker sister pub to Against the Grain, Dark Horse, and Black Sheep, its 21 taps supply craft and homemade beers. There’s also a hand pump cask, over 100 different bottled pints, and classic pub fare. Take a backstage tour at Abbey Theatre. Also known as the National Theatre of Ireland, Abbey was founded by nationalists WB Yeats and Lady Gregory and has a long history of provocative performances. Every Monday, Wednesday, Friday, and Saturday, visitors can get an up-close look at the current production. Spencer Hotel has a spa, sauna, and steam room that will melt all your stress away. 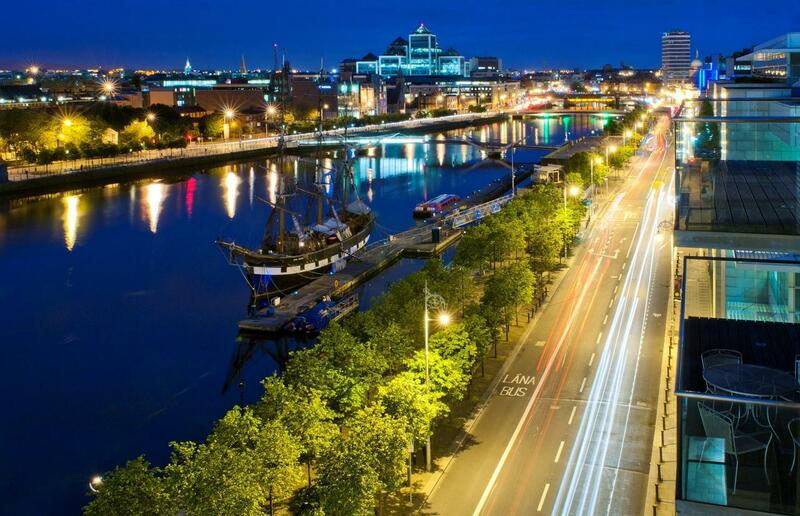 If you’re looking for something more lux, book a stay at The Address at Dublin 1. Built as an upmarket wing of the North Star Hotel, its interior is incredibly stylish and details delightfully futuristic. For something more affordable, Molloy’s has five beautiful apartments above their recently refurbished bar on the western border of The Docklands. Take a journey with Irish emigrants at the high-tech EPIC Museum. Once issued a passport, you can proceed through 20 interactive galleries that explore the effects of leaving home. Then head to the Jeanie Johnston ship and Famine sculpture that help bring these stories to life. 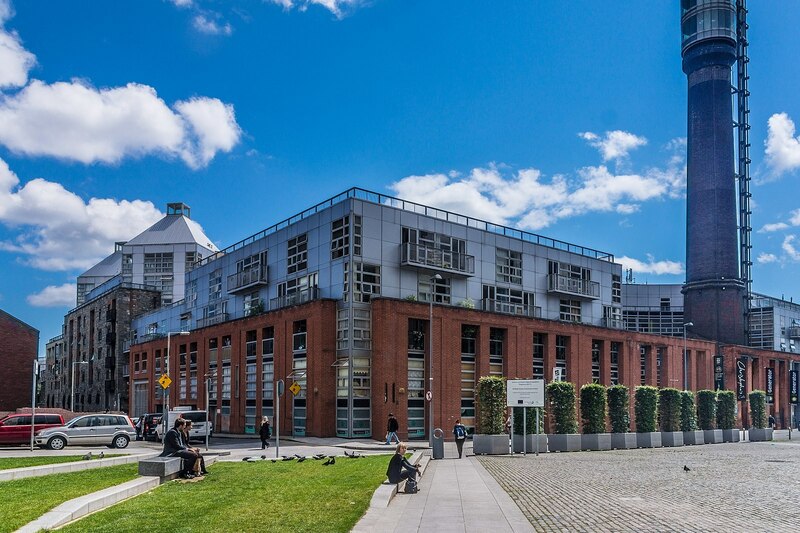 Smithfield on Dublin’s northside has grown up since its gritty days in the early 2000s. 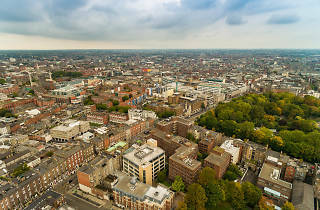 Nestled between vivacious Temple Bar, expansive Phoenix Park, and free spirited Stoneybatter, staying here will give visitors an authentic look at local life. 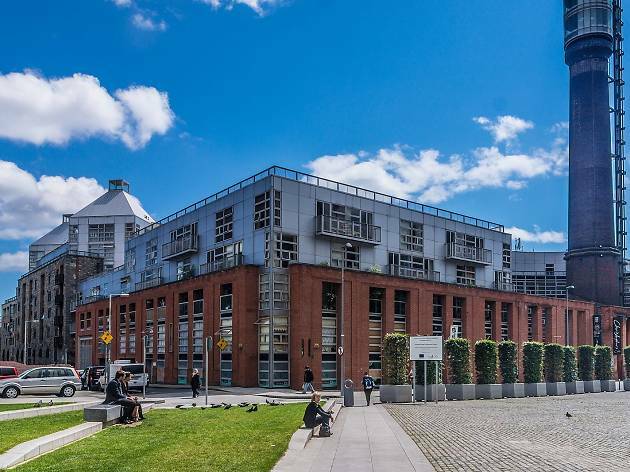 Most of the activity revolves around Smithfield Square, a former market right off the Luas tramline. The large, cobblestone plaza has been transformed into a cluster of independent restaurants and artisan cafes. Between all the wining and dining, there are tons of family-friendly festivals and cultural happenings to take part in. Bustling pubs and warehouse clubs around the square mean you’ll be busy well into the night. Taking inspiration from street vendors and food trucks, Token’s menu centres around burgers, tacos, and other foods you eat with your hands. After your meal, play Space Invaders or catch a 90s movie in the cinema. The next morning, head to Third Space and unwind. In addition to serving enormous Irish breakfasts, sumptuous wraps, and fresh pastries, this bright, informal eatery hosts an array of community events. For a dependable, family-run local, head to the cosy snugs and ill-lit memorabilia of Glimmer Man. Catch the nightly seisiún at Cobblestone for another classic Smithfield experience. When you want something wilder, LGBTI-friendly PantiBar is ready with drag shows and music bingo. Taste Jameson straight from the barrel at the Bow Street Distillery, which has been in operation since 1780 and underwent an €11-million renovation last March. Choose from three immersive experiences into the world of whiskey then make your way to the JJ bar to put your knowledge to use. Youthful visitors will love the uber-cool yet reasonably-priced Generator Hostel right on Smithfield Square. Dorms and private ensuites are available, though guests tend to spend more time in the industrial chic café-bar. Ashling Hotel closer to the park is a polished 4-star option has an equally appealing hotel canteen. Pack a picnic and head to the park. Wild fallow deer share the walking trails and flower gardens that dot Phoenix’s 1,750-plus acres. The Dublin Zoo, Ashtown Castle, Viking cemetery, and President's residence are all hiding inside. 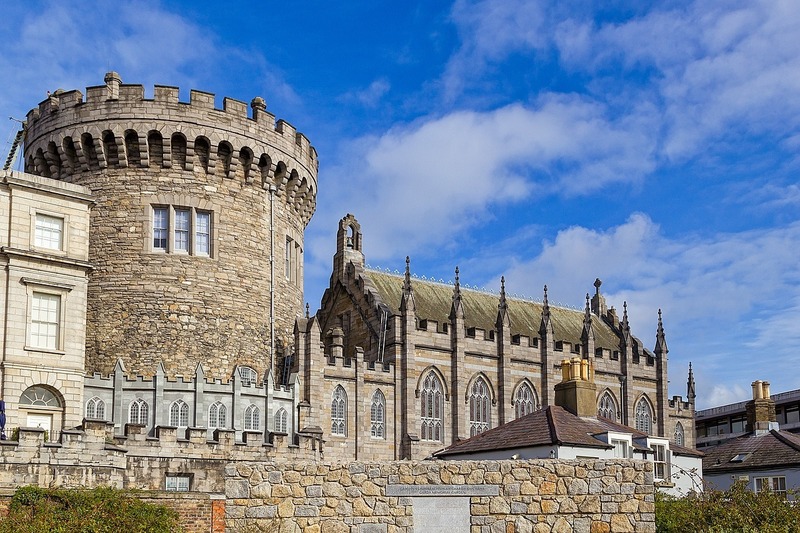 Southern Georgian Dublin is the Dublin travellers dream about. Fitzwilliam Square, Merrion Square Park and St. Stephen’s Green are lush and lively, and the surrounding cobblestone streets are brimming with brick townhouses that ooze eighteenth century charm. Adorned with ornate arches, colourful doors, and grand knockers, every entryway begs to be photographed. History enthusiasts should beeline to the region’s revolutionary landmarks, as art seekers bunce between the National Library, National Gallery, and National Concert Hall, and animal lovers explore the weird and wonderful taxidermy displays at the Natural History Museum. Though technically not the centre of the city, it can certainly feel like it. Coffee and a croissant at the charming Petit Café is the best way to start your day. When it comes to dinner, Etto has you covered. Don’t let the size or stripped-down design fool you. The small plates at this Italian-inspired, Irish-infused, Michelin-lauded wine bar carry big flavours. The ingredients are locally sourced, the vibe unpretentious, and the prices accessible. Alternatively, both Brockwood and Matt the Thresher serve some of the city’s best seafood. And you have to try fresh oysters while you’re in town. Being surrounded by classic Irish scenes will no doubt inspire you to hear some live trad music. Luckily, the historic and homey O'Donoghues on Merrion Row books acts every evening. The Dubliners and other big names have even been known to pop in. Between the free folk tunes, welcoming atmosphere, and affordable pints, craic is essentially guaranteed. The Little Museum of Dublin may look like any other elegant abode on St. Stephen’s Green, but its three storeys are stuffed with thousands of crowdsourced curiosities. The donations depict different aspects of Dublin life throughout the twentieth century and the guides are as entertaining as the artefacts. Get inside an iconic townhouse at The Merrion, a five-star hotel which flawlessly melds period charm with modern convenience. Home to the largest private collection of nineteenth and twentieth century art in all of Ireland, it feels more gallery than guesthouse. Enjoy afternoon tea in the Drawing Rooms, cocktails at the Cellar Bar, and dinner at the Michelin-starred Restaurant Patrick Guilbaud for the full experience. Take a self-guided Oscar Wilde tour. 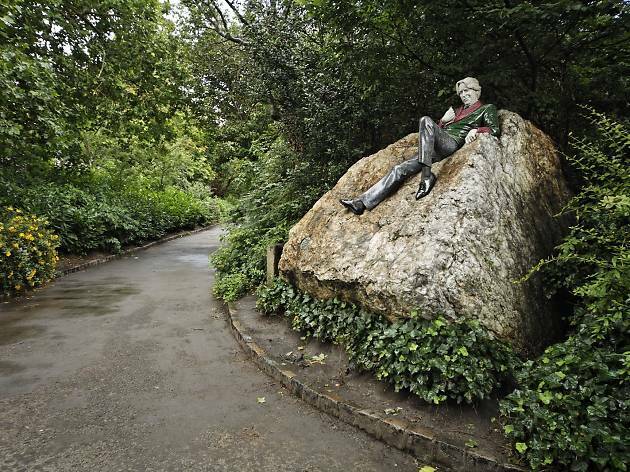 The writer, poet, and playwright is one of Dublin’s most famous former residents and it will bring you to some of Merrion Square’s best sites. 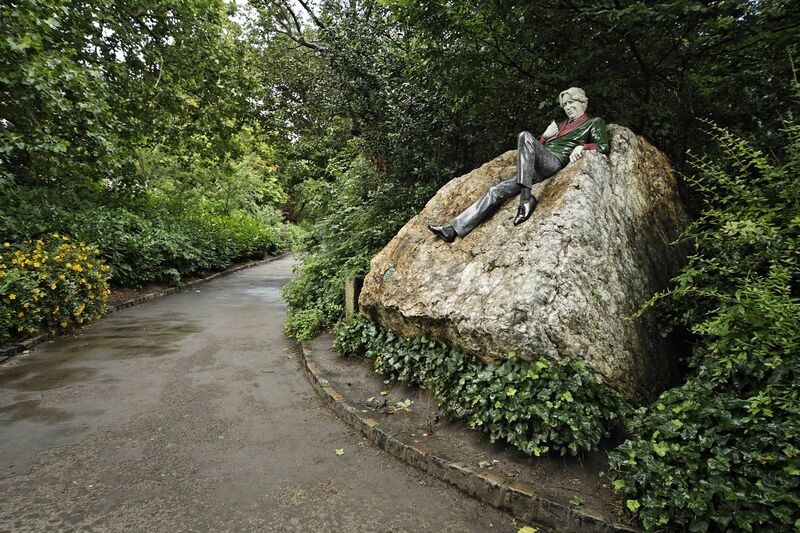 Start at his childhood home on the northwest corner of the park before walking across the street to see Danny Osborne’s portrayal of Wilde reclining on a rock in his typical flamboyant fashion. Lastly, head through the wrought iron gates at Trinity College where he (and Samuel Beckett and Bram Stoker) studied. It’s a stunning campus with several must-sees, including the enchanting Long Room Library. For a side of Dublin few first-timers see, coastal quarters Dún Laoghaire and Howth offer a nice change of pace. Fair warning: you’ll find yourself debating what’s better between the rugged beaches and freshly caught fish. Medieval ruins, maritime museums, and picturesque promenades mean you’ll never get bored. Plus, city centre is just a few DART stops away when you want it. They may not be top five material, but they’re a close six and seven. This itinerary includes visits to some of the city’s best restaurants and top attractions, as well as a few hidden gems.